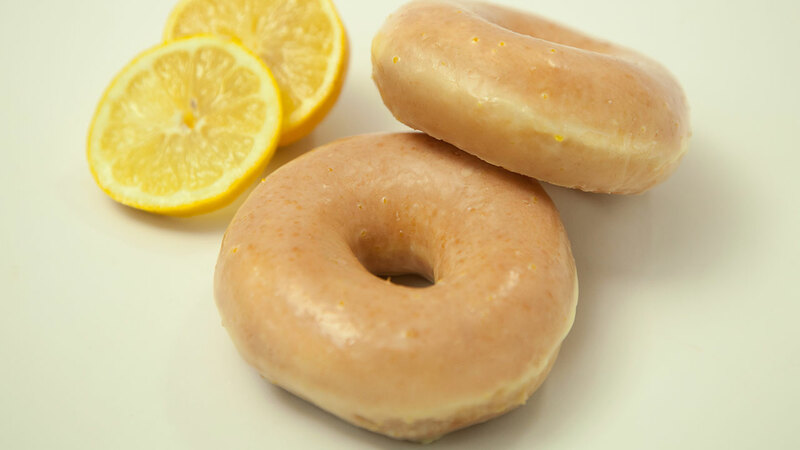 Krispy Kreme Doughnuts will start serving its brand new Lemon Glaze Doughnut for a limited time starting next week. The Lemon Glaze Doughnut will make its debut at participating locations starting Monday, April 23. It will only be available until Sunday, April 29, giving people one full week to try out the zesty new flavor. Nearly two million people voted in the #VoteForGlaze campaign in January, which left it up to customers to decide on which new glazed doughnut Krispy Kreme would add to its collection. Lemon glaze won over three other potential flavors: blueberry, caramel and maple. Krispy Kreme said its team spent 10 months making the new flavor. The company said the new doughnut "balances the freshness of real lemon, the brightness of citrus and the sweetness of Krispy Kreme's iconic Original Glazed Doughnut." "Experimenting with the many flavor profiles lemon presents to create an all-new lemon glaze was a fun, but serious culinary challenge," Krispy Kreme Doughnuts chief marketing officer Jackie Woodward said in a press release. For more information, visit krispykreme.com/Lemon.